Looking for a handmade, individual made to measure stylish kitchen that doesn’t cost the earth in Peterborough? Here at Kudos Cabinets we make our Kitchens and Bedroom cabinets to fit YOUR Kitchens and Bedroom Not your Kitchens and Bedroom to fit our cabinets! Our exact measuring and design service ensures that your Kitchens and /or Bedroom will fit to the nearest millimetre. In our Peterborough Kitchens and Bedroom showroom we have on display some stunning Kitchens and Bedrooms, the only name on them is our mark of quality. 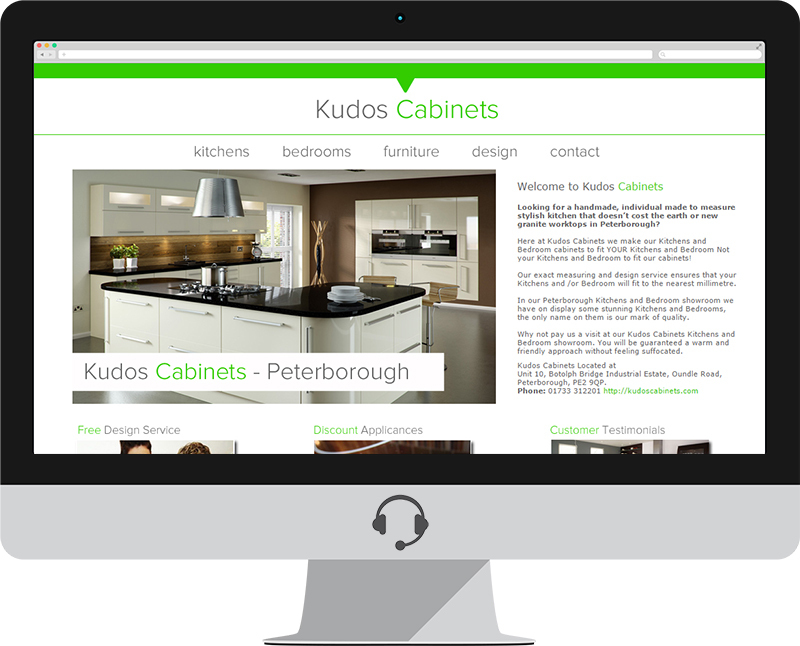 Why not pay us a visit at our Kudos Cabinets Kitchens and Bedroom showroom. You will be guaranteed a warm and friendly approach without feeling suffocated. Unit 10, Botolph Bridge Industrial Estate, Oundle Road, Peterborough, PE2 9QP.